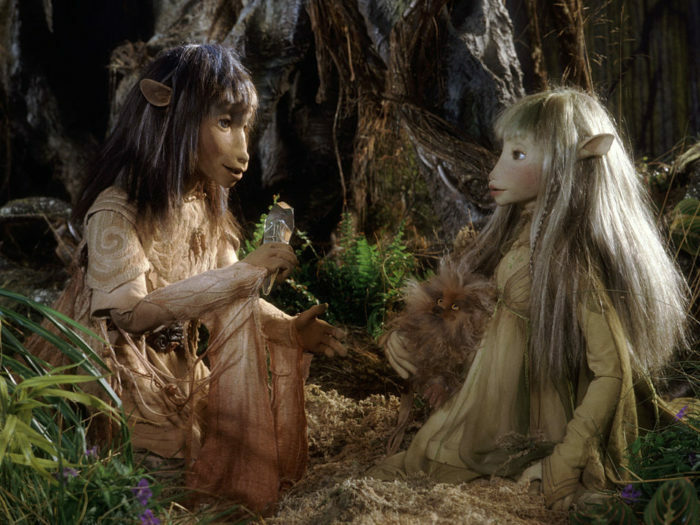 Children of the ’80s and ’90s, prepare to start weeping with joy because Netflix just announced that a prequel series to the late Jim Henson’s iconic film The Dark Crystal is in the works. The streaming platform has teamed up with The Jim Henson Company to create the 10-episode prequel series, The Dark Crystal: Age of Resistance, which will go into production later this summer in the U.K.
Age of Resistance will take place on planet Thra, years before the events from The Dark Crystal take place. According to Netflix, the story centers around three Gelfling (elf-like creatures), who discover the horrible secret behind the Skeksis’ power and set on an adventure to start a rebellion (and hopefully save the world). To show fans *just* how amazing The Dark Crystal: Age of Resistance is going to be, Netflix released a teaser. For those who may have forgotten, The Dark Crystal is the story of Gelfling Jen, who embarks on an adventure with astronomer Aughra to heal the dark crystal before the Thra’s three suns align and the Skeksis rule forever. So intense! For those concerned about the prequel series not living up to Henson’s legacy, don’t worry — there will be Jim Henson written all over the project. In addition to the creatures being created by Jim Henson’s Creature Shop and Brian Fround (the conceptual designer for The Dark Crystal) returning to work on the series, many longtime Henson collaborators — including Henson’s daughter — have signed on to produce the series. We are seriously bowing down to Netflix for giving us more of our favorite childhood movie.